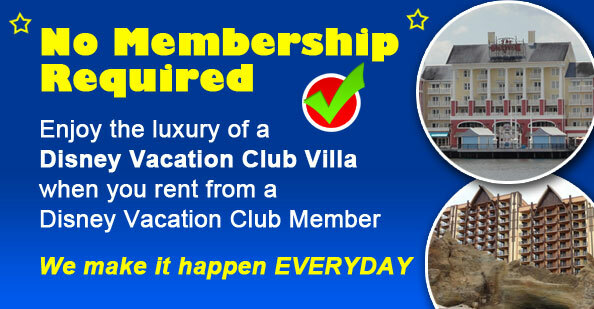 In How To Stay On Disney Property and Not Go Broke, I gave you several excellent tips for saving money and staying on property! What about other Disney Hacks? Here are 5 of my Favorite! After visiting Walt Disney World six times over the course of two years, I picked up a few Disney hacks. Here are five simple ideas I learned that might help you enjoy your WDW vacation just a little more. 5 5. It’s Saturday? Just Stay Out! 5.1 Want To Connect With Other Disney Fans and Bloggers? It won’t look like this in an hour. 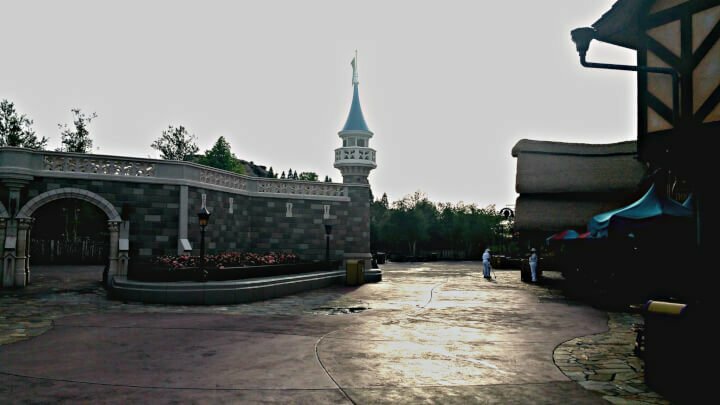 Now, this tip won’t allow you to access the rides at 7:45 am, but it will get you into the park at that time. It will put you in line before any of the regular park guests arrive. Most importantly, it won’t cost you near as much. Utilizing this tip, we were able to ride the busy Seven Dwarfs Mine Train as well Peter Pan’s Flight several times before the first park guests at the gate made it to the line. First, you must get a breakfast reservation for Be Our Guest. This can be difficult, but if you are diligent to check often or if you utilize a reservation finding service like the one offered at Touring Plans, it can be done. In fact, sometimes, I could snag the reservation after arriving at Disney due to cancellations. Once you get your reservation, order your breakfast online up to 30 days prior. If you want to eat breakfast at Be Our Guest, by all means do so. The restaurant is beautiful and the food is good, however, I prefer their lunch over their breakfast. Be advised, also, that the Beast is only in attendance at dinner and those reservations are much harder to get. That is a topic for another post, however.r post, however. What’s The Secret Coffee tip? Because my goal was getting into the park early, I had breakfast in my room and only ordered coffee and milks for my kids at Be Our Guest. This allowed us access into the park at 7:45 am on a 9:00 am park opening. It was AMAZING! 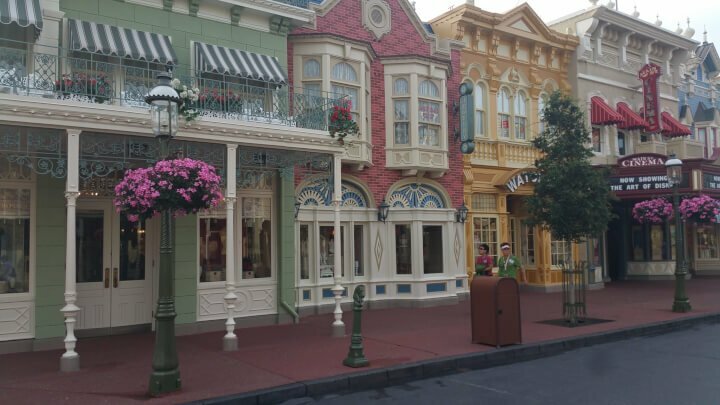 We had the park nearly all to ourselves and enjoyed taking pictures of an empty Main Street. We checked in for breakfast, waited for our milks, and then left to get in line at the rope before they opened the rides. After experiencing this, I realized if you only ordered coffee, you wouldn’t even have to wait for the waiters as the coffee is self serve. The cost for two coffees is about $7 for a party of two versus $140 for the EMM hours. Even if you chose to order breakfast, you would spend about $40 for two people. As a reminder, you will not be able to ride anything until the park opens at 9am so for some people getting that extra hour and fifteen minutes may be worth the cost. However, in my opinion this is much more economical. We were also able to come back later with our FastPass Plus reservations and ride again. My second tip is another one that we didn’t take advantage of until we had visited enough times to realize it. When you stay off site and plan to visit the Magic Kingdom, you will park at the Ticket and Transportation Center (TTC for short). Upon arrival you will see several options for getting to the Magic Kingdom as it sits across on the other side of the beautiful Seven Seas Lagoon. You can take the ferry or the monorail, but there is also an option for resort guests arriving from other parts of the park or their resort. It is the resort monorail. Because the sign says, “Resort Hotels” one might think that only resort guests can use this monorail or that it only goes to the resorts. However, this is not true. Anyone can get on the monorail and ride it around to the Magic Kingdom. This isn’t always faster, but at park opening it definitely can be the better option. At park closing when the crowds exiting the park are quite large, this can be a bit less stressful. 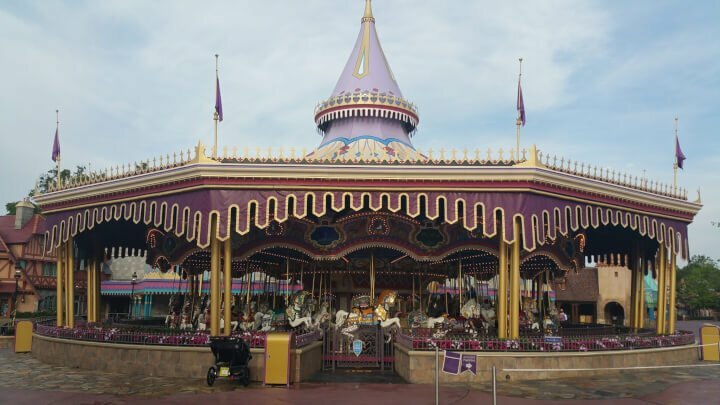 If you are an offsite guest leaving on an evening when there are extra magic hours, the resort transportation options may not be as crowded because most resort guests will be staying for the later hours. 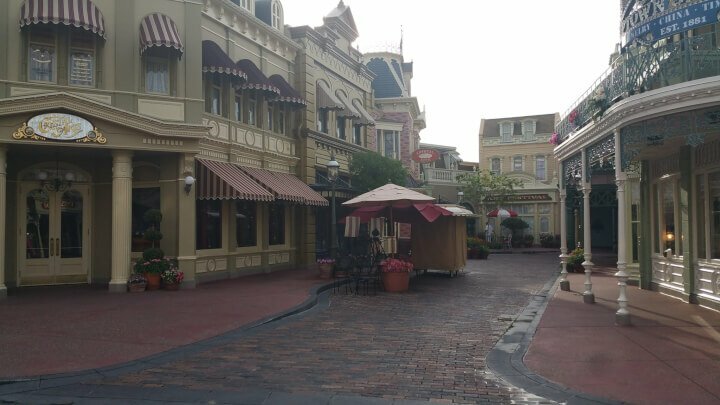 The off property guests will be leaving and likely avoiding the signs that say “to the resorts” when choosing their transportation. Wait times can still be long at these options during park closing when everyone is leaving the park so you may have to make a judgment call. If you have a stroller, don’t put your things in a bag. It didn’t take long to figure out if you don’t want to wait a long time to get into the park, don’t carry a bag. However, with three kids that can be quite a challenge. I noticed that security only wanted to check “bags” so if I just put my diapers and few snacks in the stroller loose in the bottom, they didn’t make me go through bag check. Easy enough! We put our tickets and/or credit cards in our pockets, dropped 5 bottles of water, wipes, and several diapers in the bottom of the stroller, and off we went! Voila! Saved half an hour. Still don’t think you want the hassle of a stroller? Here are a few posts to help you better understand why you need a stroller at Disney World and everything you need to know about strollers at Disney. We actually opted to bring our own every time, but learned that the right kind’ve stroller can make all the difference. It is my understanding that the bag check system has changed since my last visit and guests are now being check at the TTC before arriving at the Magic Kingdom. However, I imagine this tip still applies and would also apply at the other three park locations. Getting through bag check early is what counts. It took several attempts to help my husband understand this. It wasn’t so much getting to the park before opening, it was getting to the park before the lines in bag check got too long. That means getting there at least thirty minutes before park opening. The bag check line swells tremendously within that thirty minute window and in my experience, arriving 30 minutes before vs. 15 minutes before can make all the difference. In fact, I’d recommend if you can’t make it 30 minutes before opening, then just wait until at least thirty minutes after park opening, because right at park opening, those bag check lines are going to be the worst. If you can go without a bag, this will always be your best choice! 5. It’s Saturday? Just Stay Out! Avoid MK on Saturday if you can help it. We typically planned all our visits to the parks around the great touring advice of numerous websites and podcasters. As a homeschooling family we had that luxury. Unless we were there for a convention and I had no control over our dates, we limited our visits to lowest park crowd times. I can say with complete confidence that it didn’t matter if it was a slow week or a busy week, Saturday at Magic Kingdom was never pleasant for us. 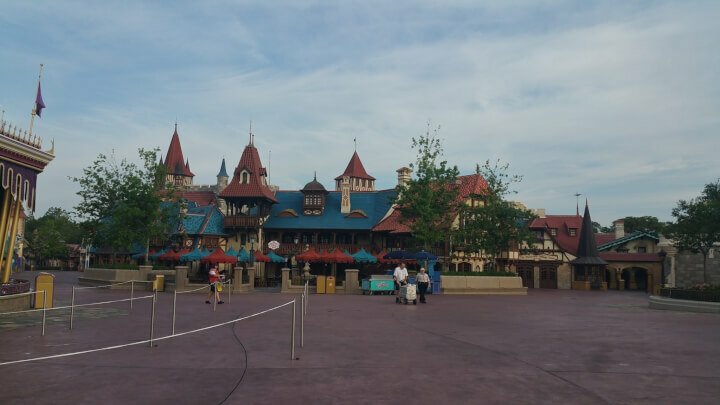 We had some of the lowest park crowds we had ever experienced on our September 2016 visit to Walt Disney World, but I made the mistake of trying to go to the Magic Kingdom on a Saturday and it was a stressful event. I’m not saying it can’t be done, but if you can at all avoid it, I recommend it. In our experience, Hollywood Studios was generally the best Saturday park. If your schedule allows it, designate Saturday as resort day and enjoy all the great things your resort offers. If you are off site, take a pool day and book a character meal or a special dinner on Saturday. There are so many great things to do at Disney World that avoiding the crowds on Saturday can be a nice change of pace and enhance your overall experience. These are just a few ideas that our family discovered in our visits to Walt Disney World. Unfortunately, as much as I planned, I was always learning something the hard way on every trip. 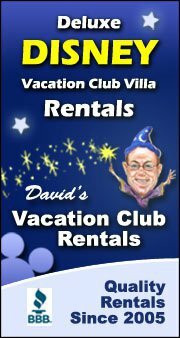 Hopefully, these can help you beforehand to have a more memorable stress free vacation. Want To Connect With Other Disney Fans and Bloggers? Are you looking for other ways to connect to Disney fans and bloggers? Join our Disney Facebook group Where Disney fans and bloggers gather to plan for a monthly Twitter chat on Tuesday nights at 9pm. Check our Disfanchat Schedule page for the next Disfanchat party. Use #disfanchat and join us, won’t you? Great tips! It is crazy how expensive Disney has gotten! I have heard so much about the Be Our Guest restaurant, but I didn’t realize it was so expensive! Thanks for sharing on #TheWeeklyPostcard. I’m glad I no longer have small children. Disney has gotten so expensive I wonder who can afford it nowadays. Great tips! #TheWeeklyPostcard. And yet…they are still packed! That Disney magic is powerful stuff! These are some great tips! I’ve only been once to Walt Disney World but went to Disneyland all the time when I lived in Cali! You got some great pictures and must have gone super early before the crowds! Thanks for linking up with #TheWeeklyPostcard! Well, I’m gonna be at Disneyland in about ten days on our California trip so I’ll be sure to share what I learn. My husband always has us arriving at a park at least 45 minutes before opening. (I’ve discovered that this hack works at non-Disney theme parks as well.) Thanks for the Be Our Guest tip. I’ll have to remember it as it’d be nice not to need a FastPass for the Seven Dwarfs Mine ride. Thank goodness all my kids are big now and can carry their own stuff. I was very glad when we no longer had to keep track of a stroller or try to push it through crowds there. Oh yes, as I was typing that one out, I thought, now that we are down to just one stroller and soon will be none, I’m not sure how we will get by without bags. We have done it for shorter days in the parks, though, and it is so nice. On days that were cooler (we did have a very cold visit in Feb 2016 much to our disappointment) I wore a vest and coat with inside pockets so that was a great way to go without bags. I have spent a lot of money at Disney, but I don’t think I could ever justify in my own mind paying close to the same amount as a whole day’s ticket for an hour and 45 minutes extra in the park. Then again, riding something over and over without a wait is fun! I’m not sure I’ll be able to convince hubby to go 45 minutes early to anywhere besides Disney, but I am sure that it makes a HUGE difference no matter where you go! Hoping to get them up and out early next week when we are in Disneyland!! Thanks for reading and commenting today! Have a great day. Although I love these tips – because time is worth even more than money at Disney World! – our daughter absolutely loved breakfast at Be Our Guest. (So did mom when she got a hug from Winnie the Pooh!) Totally worth doing, at least once. The stroller idea is genius…we may borrow somebody’s kid for that one. 😉 Thanks for sharing on #TheWeeklyPostcard. Interesting. Winnie the Pooh at Be our Guest? Trust me…I am a sucker for the character meals and have done just about all of them, so I TOTALLY GET IT! I like my hugs from characters in the 100 acre woods too! Great tips! A trip to Disney can be expensive and stressful. Your tips will be useful for sure! Thanks glad they can help! I never thought about just ordering a drink and then being able to wander the park before it was officially open. What an awesome idea! I will have to remember this for next time!!! It’s pretty fun! And makes for great photo ops! I finally know how people get the empty park pictures! I’ve done the “early breakfast” trick at Akershus Royal Dining Hall to get into Epcot early (hello first in line for the Frozen Ride! ), but never at Magic Kingdom. I love your transportation trick too. A really nice one is to head over to Boardwalk and walk in the back entrance to Epcot or ride the boat to Hollywood Studios! Thanks for sharing amd hosting on #MouseFanMondays! Great tip about the Magic Kingdom on Saturdays, I have to admit though that I am one of the pesky locals that keep the Magic Kingdom busy on Saturdays, lol. Great tips, I love being able to get into the parks a smidgen earlier than most others.